Until now, there have been only three big dogs in the practical, daily driver, luxury four-door world: the V-8 versions of the BMW 7-series, the Mercedes-Benz S-class, and the . Sure, the latest Jaguar XJ8, the , and the Bentley Continental Flying Spur are all superb sedans in their own manners, but the German troika define the genre. 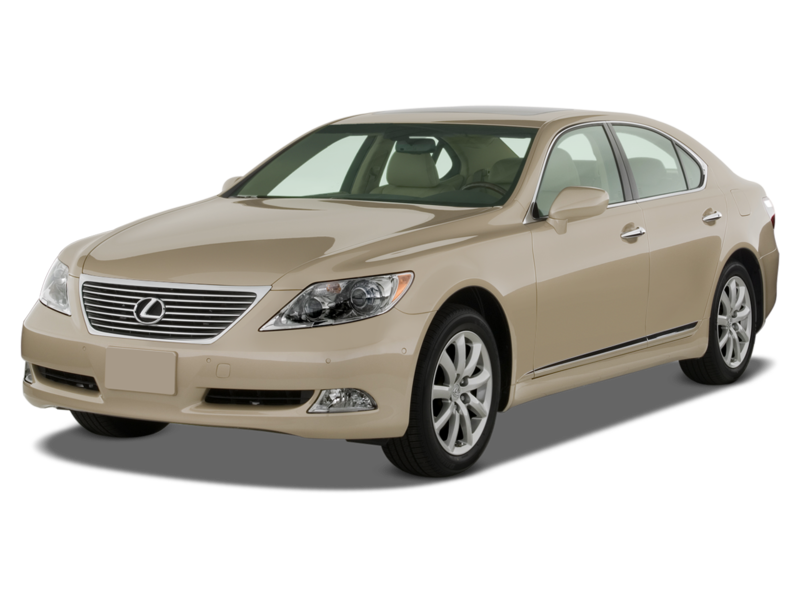 The previous Lexus LS430 is an astonishingly good car, superior in many ways, but it is just not quite in the class of the Germans when you talk about driving dynamics. That all changes for 2007. 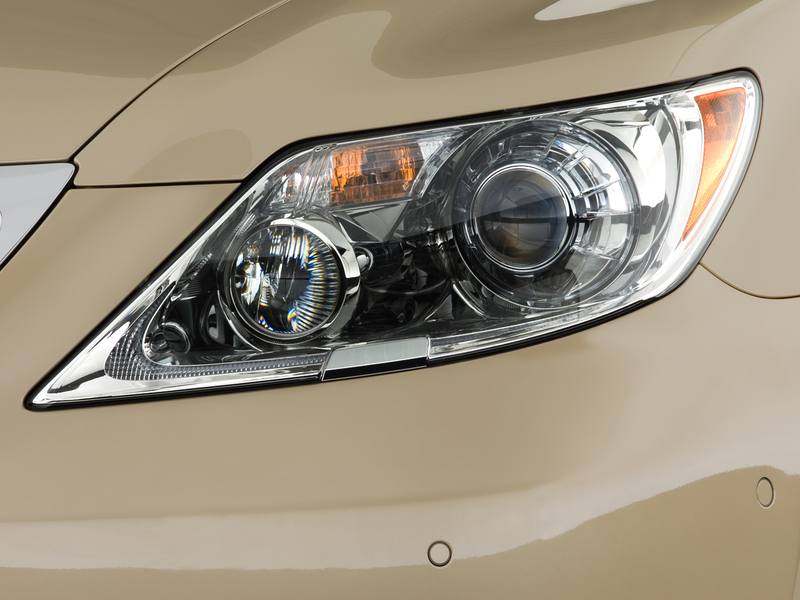 The new LS460 is not just the peer of the leading trio, it provides a new benchmark for the category. 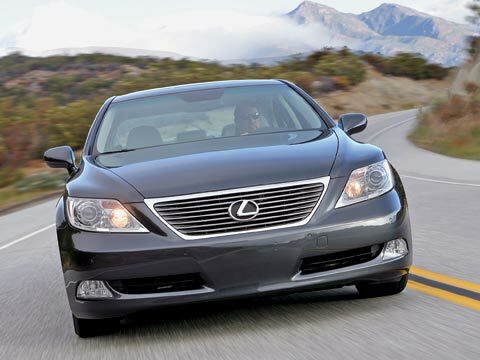 The first all-new V-8 engine since Lexus began its inexorable rise to the pinnacle seventeen years ago is coupled to an eight-speed automatic transmission that is so totally unobtrusive that you forget about it. If your foot demands more thrust, the gearbox will select the right ratio and you’ll rocket forward, unaware of any mechanical activity under the floorpan. What you do get with your foot firmly planted is a wonderfully subdued but distinct V-8 rumble, stripped of all extraneous elements. For most Americans born after March 9, 1932, when Henry Ford introduced the option of a V-8 engine, for $50, that sound is almost genetically imprinted as the symbol of power. And power there is, 380 horses’ worth of smooth, even, and seemingly inexhaustible power, obtained in part by having both port and direct fuel injection for each cylinder. 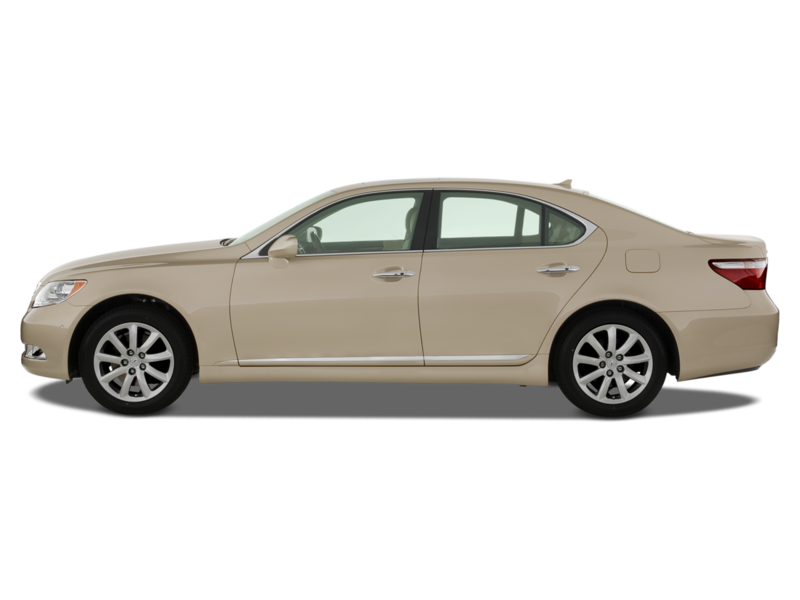 According to Lexus, the very aerodynamic (0.26 Cd) LS would easily reach 170 mph were it not electronically limited to only 130 mph. 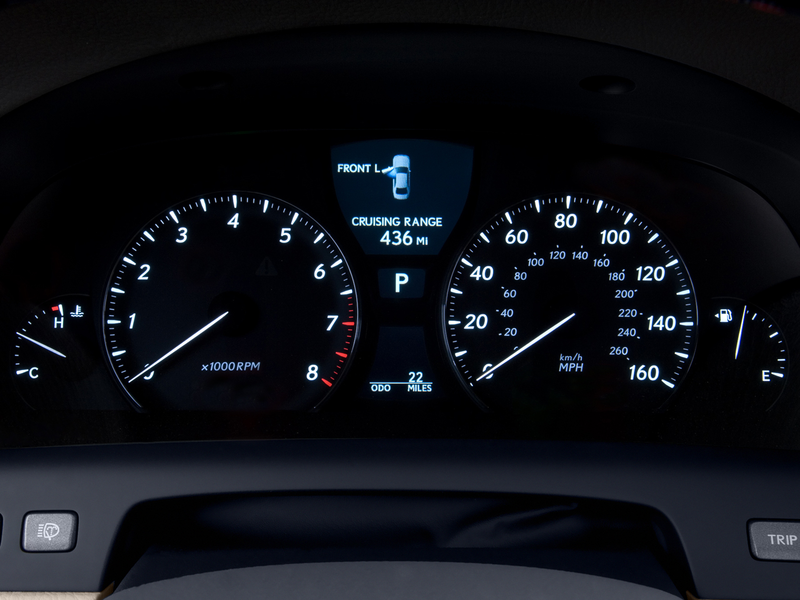 Most of us drive at speeds a little more than half of those limits, and in that more realistic regime, the new Lexus excels. Precise steering, high levels of grip, and powerful braking mean that the car can be pushed hard on the kind of Alpine roads that have contributed so much to the development of Europe’s best cars. 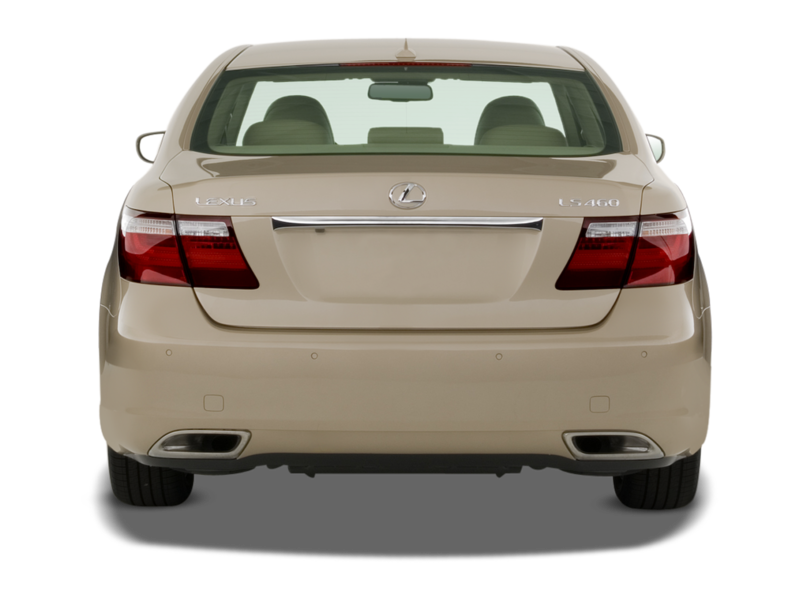 The LS460 equipped with air suspension has remarkable body control, with very little roll and no lurching as the car changes direction from right to left on a winding road, while the ride quality remains limousinelike. The spring setup we tried on the LS460L was equally unfazed at speeds up to 95 mph, our limit in Austria. One new dynamic element for this car is that the electronic stability control can be switched off by the boy-racer types who insist that hanging the tail out is the only way to travel. 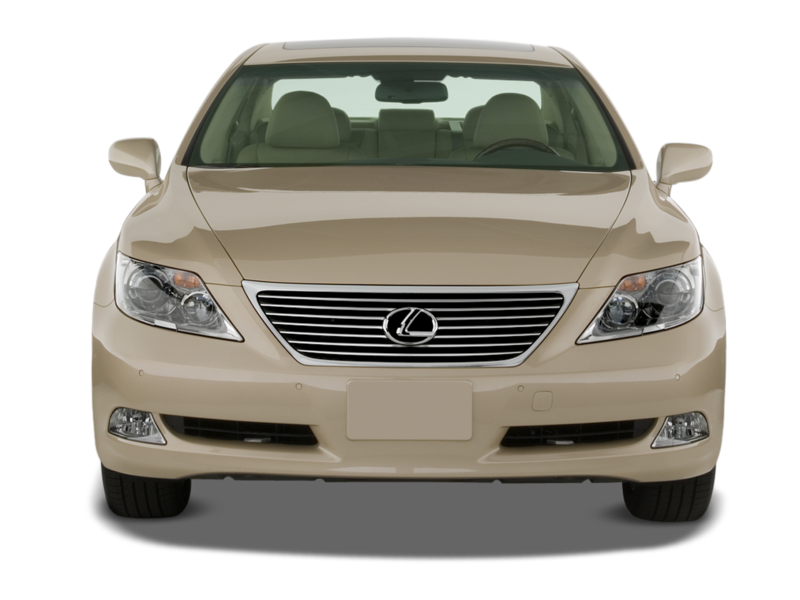 In an era when manufacturers claim faster and faster development times, Lexus takes pride in the fact that developing the LS460 took four and a half years of concentrated work. 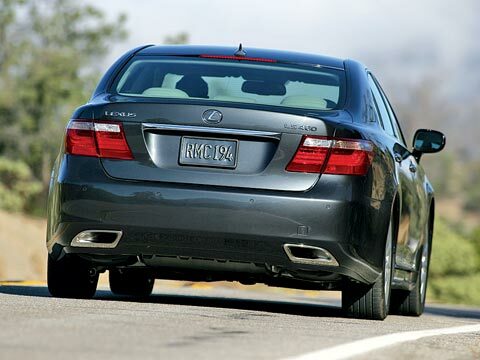 One of the engineering goals was for drivers of the new LS460 to find the cars “seamless and intuitive” in use. 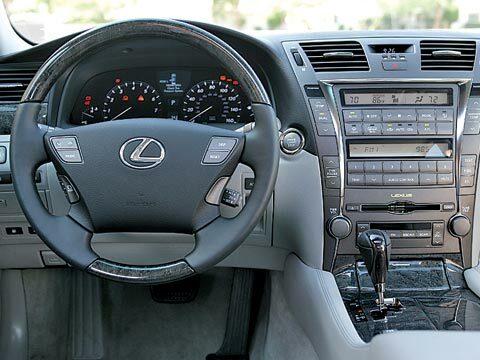 Lexus spent as much time on the psychology of potential buyers as on engineering. Chief engineer Satoru Maruyamano approached the project as though his 1500-member team were creating a fine musical instrument. 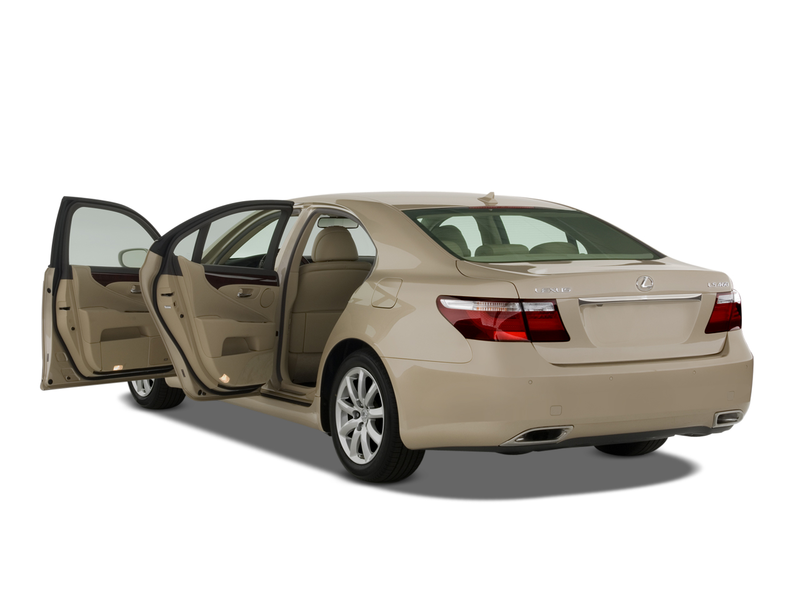 For instance, they wanted the doors to sound and feel like a heavy wooden architectural door when being shut. The prototype vehicles that we drove in Austria all had show-car-quality paint jobs that are actually the production standard. It includes two complete hand-sanding operations in preparation for the final coats, as well as final buffing by six-axis robots so that every surface is polished to a deep, lustrous finish. The interiors are particularly impressive in that they are not overdone. Each seat is very simply presented with side bolsters and a single transverse seam across the central seating area. 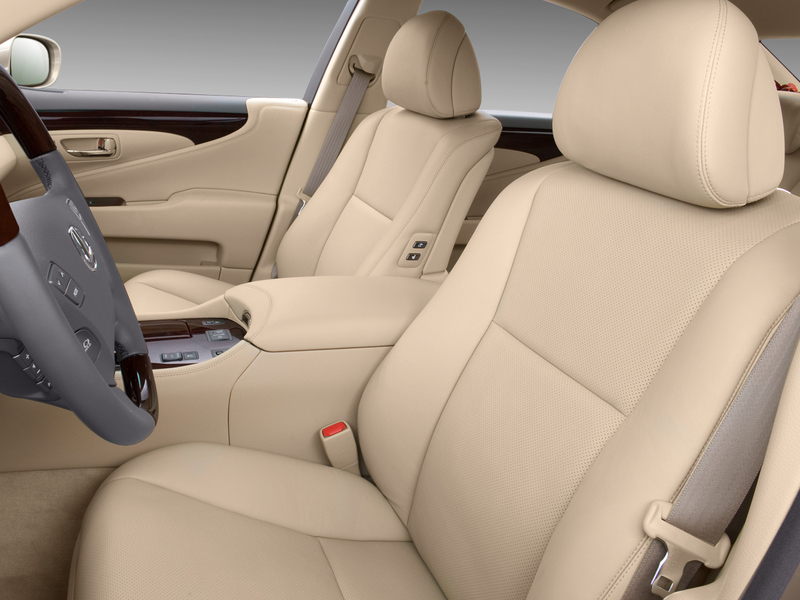 There are no pleats and no complex patterns, just soft leather and soft foam. Yet they hold one in place during even the most vigorous cornering on tight, winding roads. 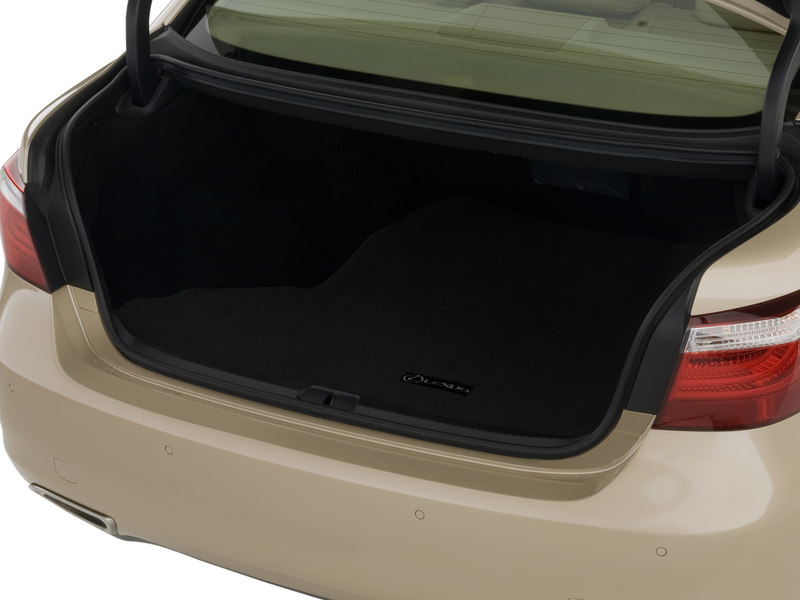 The range of adjustments is wide, and in some models the rear seats are able to change height and rake. 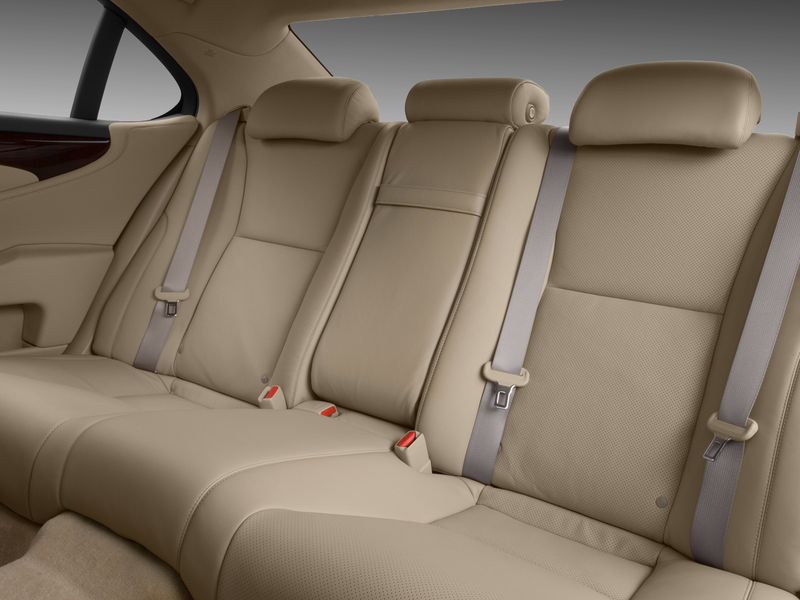 The right rear seat even includes an ottoman extension such as those found in first-class airline seats (or in a Maybach). 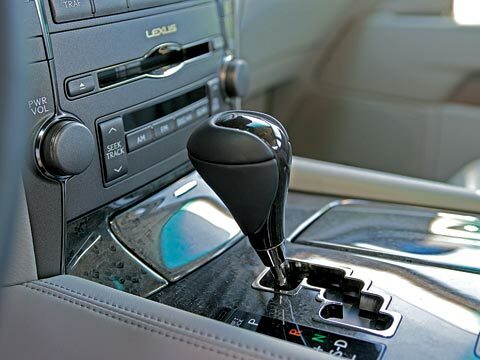 All seat controls are electrically operated, of course, and particular attention has been paid to the sound quality of all those electric motors, so they are pleasant and harmonious if you do hear them. 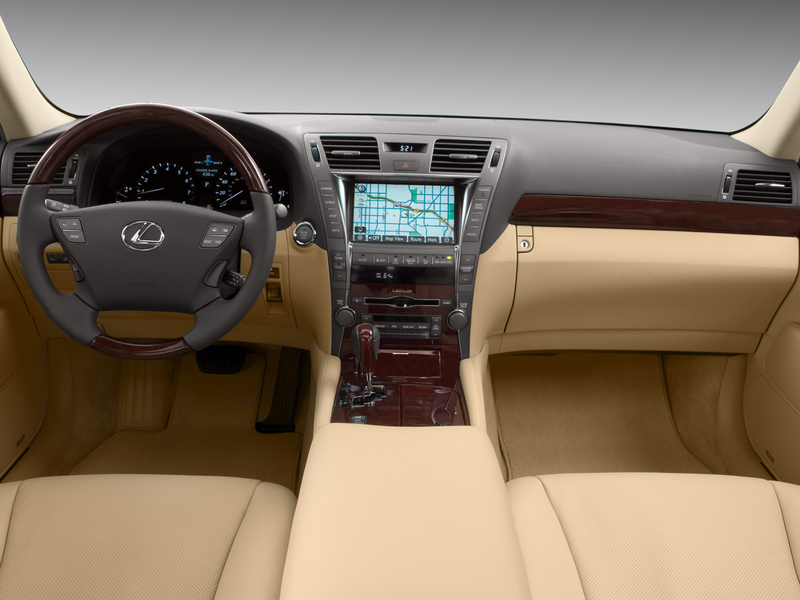 Traditionally, Japanese manufacturers have offered very few options, but in seating alone, this Lexus is offered with a luxury package, a rear-seat upgrade package, an executive-class seating package, and even a semi-aniline leather upgrade for the long-wheelbase LS460L’s luxury package. 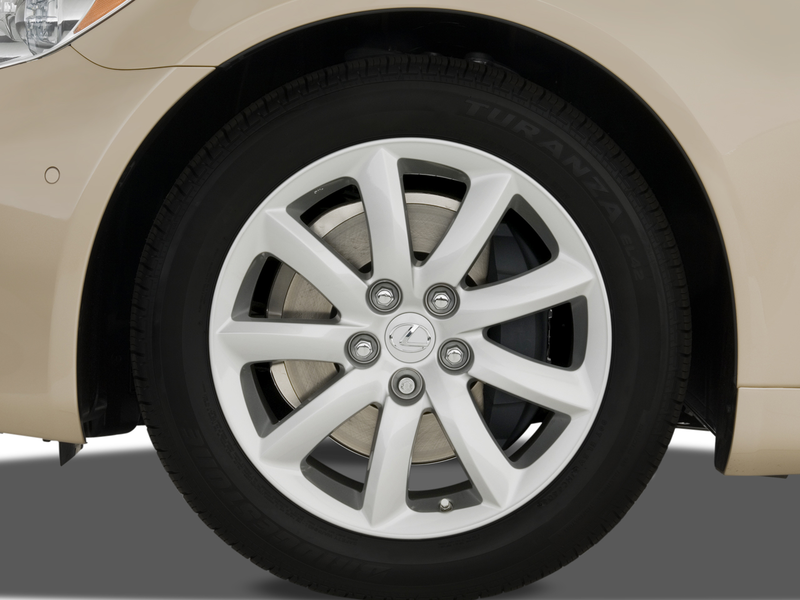 There are two suspension systems, air and steel spring; two wheel sizes, eighteen- and nineteen-inch; two braking systems, with 13.2-inch radial-fin ventilated front rotors or 14.1-inch spiral-fin front rotors; two steering systems, with fixed and variable ratios; two cruise-control systems, traditional and with dynamic radar control; and a huge variety of trim and color choices. There are even two optional parking systems. 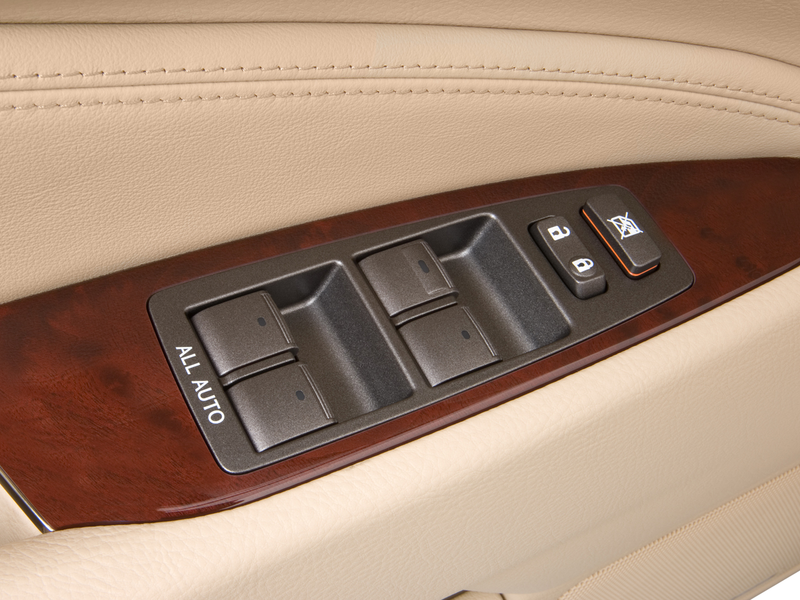 The more advanced one steers the car, with the driver only controlling its speed with the brake pedal. It will be interesting to see how dealers specify cars for stock, but we’d estimate that they will be loaded and will go for top dollar. 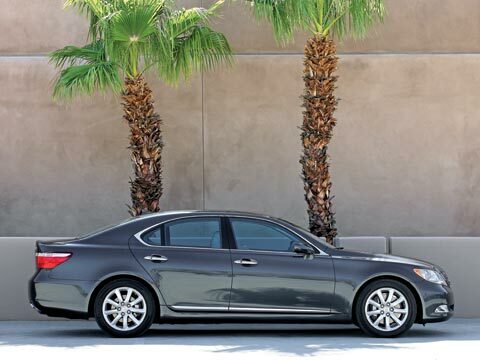 Despite all the increased content and the 30 percent stiffer body shell, the LS460s are only 375 pounds heavier than directly comparable LS430s. That doesn’t mean that they are lightweights; they average two metric tons each, or 4400 pounds, with the long-wheelbase model about 85 pounds heavier than the standard model. 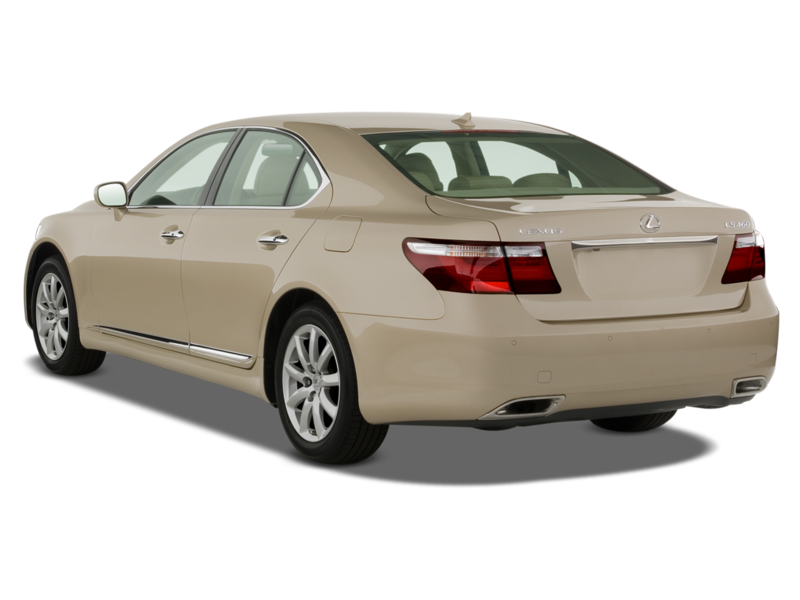 Lexus anticipates that about 30 percent of sales for 2007 will be of the LS460L and just five percent will be the hybrid LS600hL version yet to come. For all of the high-tech components, the final arbiters of salability in the extensive inspection processes that regulate production of these extremely serious cars are human beings. Highly trained and highly motivated, these quality controllers rely on their ears to discern and eliminate any sound source that might bother a customer. 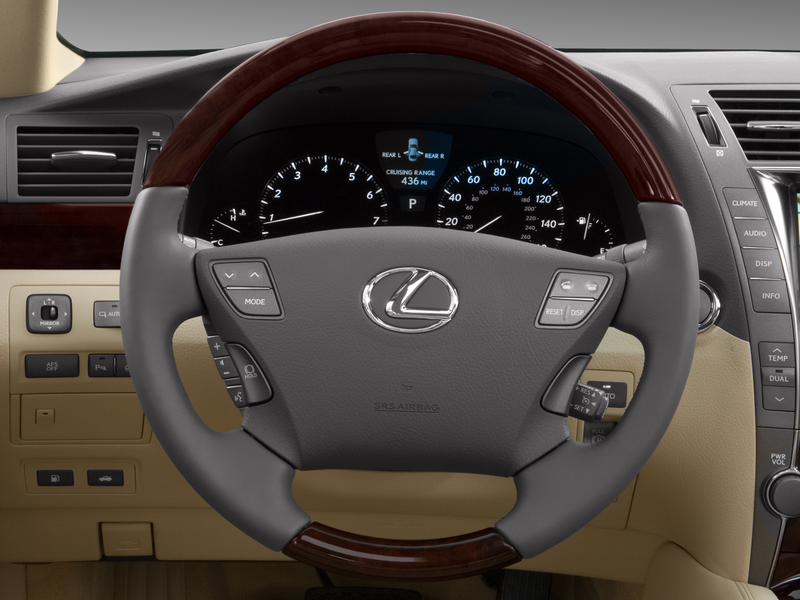 That “fine musical instrument” metaphor is taken quite seriously in Lexus Land. The Jeep Grand Cherokee is a fine road-tripping machine. 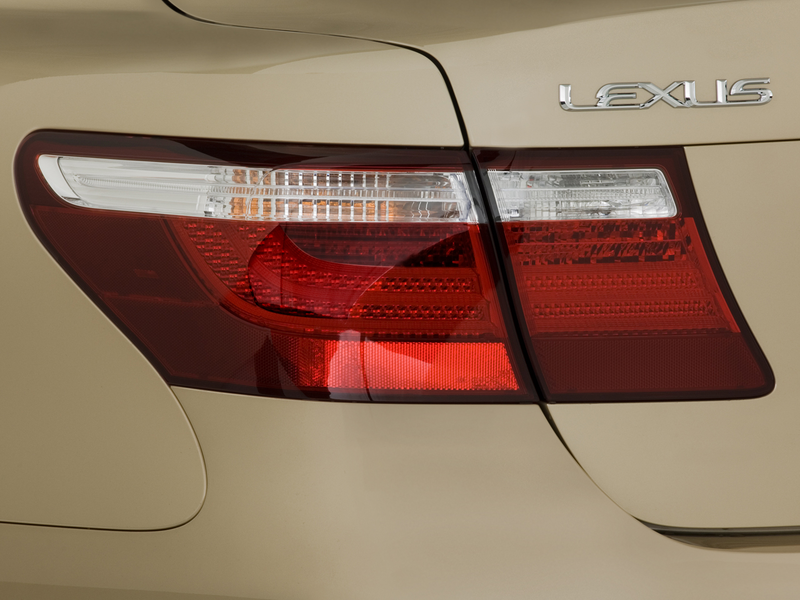 It’s still the definitive Lexus, but it might be time to stretch the definition. 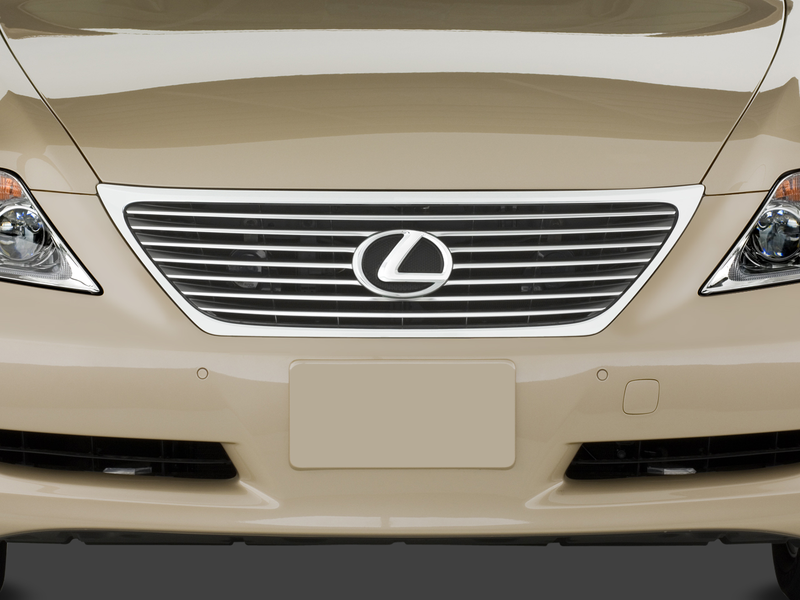 Lexus LS460L Caption Contest: We Have a Winner!